We recently found a company called Piczzle and we have fallen in love with their company. On Piczzle you can take any picture you want and upload it to the site. Then you can turn that photo into a puzzle! They have all kinds of options you can have a puzzle in several different shapes and with as many pieces as you want. Once you upload your picture, you will have the ability to choose a size and how big you want the puzzle to be. We ordered this great picture from our oldest daughter’s wedding. 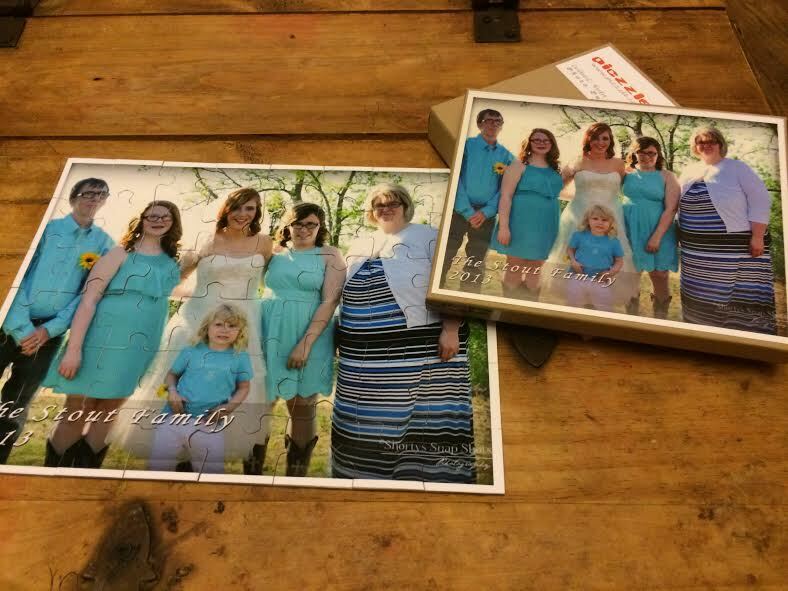 Once you choose your picture they will give you the option to choose from a standard or wooden puzzle pieces. Then there are options for small, medium, large, xlarge, xxlarge, and giant. We choose one that had 48 pieces and our kids just love putting it together. The pieces fit together really well, they come on high quality materials so they don’t fall apart. It’s a great little keepsake. Piczzle – your own puzzle from your special image. Piczzle’s Cardboard Puzzles are made of outstanding materials, top craftsmanship and the highest print quality. They are constructed of a premium grade cardboard that has been laminated with a glossy finish. Our cardboard puzzles are precision press cut so that all pieces will be perfectly match one another and they are printed using an advanced digital printing technique that results in sharp, multicolored prints. You can purchase your own Piczzle on their Website! Use the code “BethanyStout21” to get a 21% discount Valid until June 22nd! Make sure to enter below for you chance to win your own custom puzzle! I have the perfect photo to turn into the puzzle. This so cool. Love it! I would love to win this and gift it to my son for a Christmas gift. This is such a cool little keepsake! I love this!